It is distinct from software quality control which includes reviewing requirements documents, and software testing. SQA encompasses the entire software development process, which includes processes such as software design, coding, source code control, code reviews, change management, configuration management, and release management. Whereas software quality control is a control of products, software quality assurance is a control of processes. Improved customer satisfaction Improved customer satisfaction means longer, more profitable customer relationships, positive customer testimonials, and waves of referral business generated from positive word of mouth. If customers are dissatisfied with a product they have purchased from a particular software vendor, they’re likely never to recommend that product nor buy from that software vendor again. Bugs and defects, in addition to seriously hampering an application’s functionality, look sloppy and unprofessional, and reflect poorly on a company’s reputation. What’s more, without proper testing, it is virtually impossible to know how new users will respond to an application’s functions, options, and usability features. Unbiased software quality assurance specialists come to a project fresh, with a clear outlook, and so serve as the first line of defense against unintuitive user interfaces and broken application functionality. 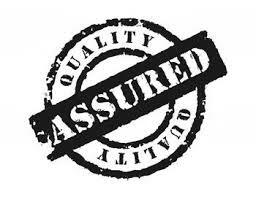 A quality application is guaranteed to result in enhanced customer satisfaction. Reduced cost of development Because the process of software quality assurance is designed to prevent software defects and inefficiencies, projects that incorporate rigorous, objective testing will find that development costs are significantly reduced since all later stages of the development life cycle become streamlined and simplified. With SQA, all further testing and development including user testing and customer deployments will go more smoothly, and of course more quickly — which means your software development project will consistently reach completion on time and within budget, release after release. Reduced cost of maintenance Bug-infested applications are troublesome to support. The combined cost of unnecessary recalls, returns, and patches can be frightful. And that says nothing of what will have to be spent on ongoing customer support, be it by telephone, email, or in person. All these costs and more can be dramatically reduced by releasing only rigorously quality-assured products. Software vendors that invest in quality now can avoid big losses in the future. Validation testing is the act of entering data that the tester knows to be erroneous into an application. For instance, typing “Hello” into an edit box that is expecting to receive a numeric entry. Comparing the output of an application with specific parameters to a previously created set of data with the same parameters that is known to be accurate. A stress test is when the software is used as heavily as possible for a period of time to see whether it copes with high levels of load. Often used for server software that will have multiple users connected to it simultaneously. Also known as Destruction testing. Sometimes getting users who are unfamiliar with the software to try it for a while and of making improvements to a user interface.